Twenty-Two Gallery represented artists will show their best works in many styles and mediums. Mediums include: photography; oils; water color; sculpture; Sumi-e & print work. Many scales and price ranges to choose from. Support local artists! Whenever I go to Twenty-Two Gallery I meet interesting new people. The Summer Group Show introduced me to Sonia Gonzalez, her works in the show are outstanding and different. One is black and white, highly narrative, the other this lavish oil that is more abstract expressionist. Sonia asked me which was my favorite, I love them both. Summer in the city offers art receptions and parties with the Philadelphians who don’t go down the shore. The artist reception was very lively with conversations about the value of pastoral paintings, breakthrough printmaking process and studio space news. It’s really fun to be part of the group, Twenty-Two Gallery is always so welcoming to me. Summer Group Show, Twenty-Two Gallery, 236 S. 22nd Street, Philadelphia, PA 19103 215.772.1911 HOURS: Wed. thru Sun. 12 Noon to 6 PM or by appointment. Summer Group Show through August 3rd. This entry was posted in Art, Art Galleries, Art in Philadelphia, Fine Art Philadelphia, Installation, Mixed Media Art, Paintings, Philadelphia, Philadelphia Abstract Art, Philadelphia Art, Philadelphia Art Galleries, Philadelphia Art Shows, Philadelphia Artists, Philadelphia Photographers, Philadelphia Sculpture, Photography Philadelphia, Sculpture, Uncategorized and tagged Art, Art Installation, DoNArTNeWs, drawings, mixed media art, paintings, Philadelphia, Philadelphia Art, Philadelphia Art Gallery, Philadelphia Art Shows, Philadelphia Artist, Philadelphia Artists, Philadelphia Fine Art, Photography, sculpture, Summer Group Show, Twenty-Two Gallery on July 17, 2014 by admin1. RSVP 2014 Exhibition through August 16th, 2014. Gallery Hours: Wednesday 12:00-5:00 PM, Thursday-Saturday 11:00-6:00 PM, Tuesday by appointment only. The Gallery is open to the public free of charge. Philadelphia based photographer John Singletary will be showing work as part of the R.S.V.P. 2014 group exhibition at the LG Tripp Gallery. John Singletary is a Philadelphia based photographer who trained formally at Drexel University and the Community College of Philadelphia and has exhibited work in the Pennsylvania State Museum, The Center for Fine Art Photography, The Photo Review, University of the Arts Gallery 1401, The Seeds Gallery, The Perkins Center for the Arts and other venues. Each summer LG Tripp Gallery is pleased to mount its summer invitational, RSVP. The selected artists share technical maturity and a commitment to abstraction. Working in diverse media with individualized processes and styles, and coming from different levels of exhibition experience, art education and artistic career, their pursuits take many forms. Their works hang throughout the gallery in a focused but lively conversation. RSVP 2014 showcases thirteen artists from Philadelphia and the surrounding regions. Twelve are exhibiting at LGTripp for the first time. On exhibit are paintings by Lynn Denton, William DiBello, Karen Freedman, Albert Fung, and Tim Ruffin; installations by Raphael Fenton-Spaid (solo 2011) and Laura Sallade; sculpture by Lori Evensen; prints by William Phelps Montgomery and Kenneth Schiano; photographs by Lori Evensen, Stuart Lehrman, John Singletary, and Andrew Tomasulo. This entry was posted in Art, Art Galleries, Art in Philadelphia, Fine Art Philadelphia, Mixed Media Art, Philadelphia, Philadelphia Abstract Art, Philadelphia Art, Philadelphia Art Galleries, Philadelphia Art Shows, Philadelphia Artists, Philadelphia Artists, Photography Philadelphia, Uncategorized and tagged Art, Art Installation, DoNArTNeWs, John Singletary, LG Tripp Gallery, mixed media art, Philadelphia, Philadelphia Art, Philadelphia Art Gallery, Philadelphia Art News, Philadelphia Art Shows, Philadelphia Artist, Philadelphia photography, Photography, RSVP Group Show, Synthesis on July 17, 2014 by admin1. COMMUNIQUÉ, The Theatre of Living Arts, RAW:natural born artists, Wednesday, July 23rd, 7:00pm to 11:00pm, 334 South Street, Philadelphia. 21+, Cocktail Attire, $15 advance sale, $20 at the door. Local Philly artists will come together to create a collaborative showcase encompassing all facets of creativity. In addition to the pop-up art/photography gallery and live music, there will be a dance troupe and runway shows featuring designers, hair and makeup artists. This entry was posted in Art, Art Galleries, Art in Philadelphia, Art Spaces Philadelphia, Fine Art Philadelphia, Installation, Mixed Media Art, Philadelphia, Philadelphia Abstract Art, Philadelphia Art, Philadelphia Art Galleries, Philadelphia Art Installations, Philadelphia Art Shows, Philadelphia Artists, Philadelphia Pop Art, Photography Philadelphia, Uncategorized and tagged Art, Art Installation, COMMUNIQUÉ, DoNArTNeWs, mixed media art, paintings, Philadelphia, Philadelphia Art Shows, Philadelphia Fine Art, Philadelphia photography, Philly RAW Artists, Photography, RAW:natural born artists, RAWartists, The Theatre of Living Arts on July 17, 2014 by admin1. 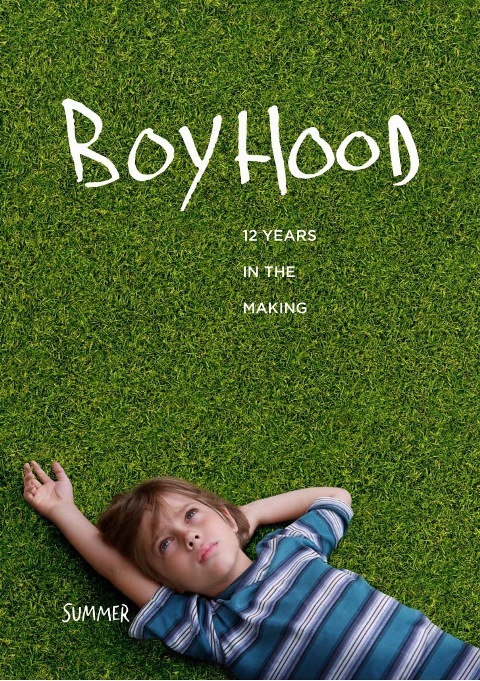 SYNOPSIS: Filmed over 12 years with the same cast, Richard Linklater’s BOYHOOD is a groundbreaking story of growing up as seen through the eyes of a child named Mason (a breakthrough performance by Ellar Coltrane), who literally grows up on screen before our eyes. Starring Ethan Hawke and Patricia Arquette as Mason’s parents and newcomer Lorelei Linklater as his sister Samantha, BOYHOOD charts the rocky terrain of childhood like no other film has before. Snapshots of adolescence from road trips and family dinners to birthdays and graduations and all the moments in between become transcendent, set to a soundtrack spanning the years from Coldplay’s Yellow to Arcade Fire’s Deep Blue. BOYHOOD is both a nostalgic time capsule of the recent past and an ode to growing up and parenting. It’s impossible to watch Mason and his family without thinking about our own journey. This entry was posted in Art, Art Blogging, Fine Art Philadelphia, Movies, Multimedia Art, Philadelphia, Philadelphia Art, Uncategorized, Video and tagged Art, BOYHOOD, DoNArTNeWs, Ellar Coltrane, Ethan Hawke, movies, Patricia Arquette, Philadelphia, Philadelphia Fine Art, Richard Linklater on July 11, 2014 by admin1.